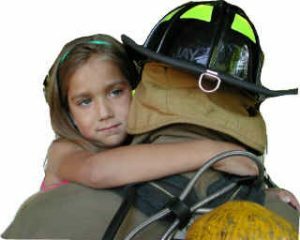 To assist applicants who are rebuilding their lives after sustaining a fire loss to either their residence, vehicle, burn related incident, or fire death in the family. This assistance is available to residents of Bexar, Kendall, Comal, Guadalupe, Wilson, Atascosa, Medina, and Bandera Counties. Working in conjunction with many other charitable organizations, BOSF is another established resource available to assist the community. Our Mission is to provide applicants with quick relief through our support programs to help begin the recovery process. Burned Out Survivors’ Fund Directors do not receive salaries or any compensation for their services. The affairs of the BOSF are managed by and under the direction of the Directors, and all rights, powers, duties and responsibilities relative to the management and control of the BOSF property and affairs are vested in the Directors. Each Director exercises reasonable care and prudence in the administration of the affairs of the BOSF and are responsible for disbursing the funds and property received only for the purposes for which they were received. The Directors require a regular accounting of all funds disbursed and are vested with all of the powers possessed by the BOSF itself, so far as this delegation of authority is consistent with the laws of the State of Texas, the Articles of Incorporation, or with the Bylaws. Founder, Board Chair, & 14-year SAFD veteran. Attorney for Combined Law Enforcement Associations of Texas. Retired SAFD firefighter & original Board of Directors credited with procuring initial funds for BOSF. Retired SAFD District Chief credited with organizing golf tournaments to raise funds for the BOSF. Retired SAFD Battalion Chief active in supporting many different community related activities.